Unfortunately, it isn't common to see the test code in a mobile project. Because many people don't know the importance of testing, which is or how to do it. Why need to create tests? 1. Integration, you can integrate your tests code with a tool to validate the tests automatically by git flow for example. 2. Reduce bugs is a good practice to verify source code, but not necessarily a truth with a reduce bugs depends on the quality of tests. 3. Security using tests to check if your application is safety to attacks. 4. Assurance of the behavior of the application is in agreement with what the designer has created and the client need. 5. 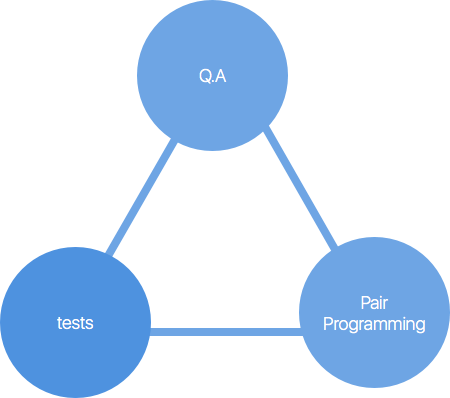 Refactor TDD or Test Driven Development has code refactoring in your step. Change the source code without a test is not a good practice. 6. Coverage is a number that represents to the developer how many your application covered with tests but not necessarily poses a quality of your code. 7. Documentation tests can be used as documentation of your application by the developer. The tests code shows how works the application code. 8. Clean Code it’s normal that many codes are created with unnecessary parts and refactor is a step of a developer to clear it. 10. Show progress, we take a simple app for example with three layers: Presentation (UI, Controllers), Business (Service) and Data (Persistence). You can see clearly the progress with tests because you don’t need to wait for the Business layer to connect with Presentation, for example, you can use Mocks, Stubs or many others strategies for your tests. When tests included in the project, initially is most expensive than another that not used it. But Fischer shows that across of the time the application costs more money because of increased support, bug fixes, deployment, lost customers, etc. You can get a point that he called the breakeven this point at which their unit testing pays off. The difference after of breakeven point between the projects that are used and not used tests is different than previous graph (Figure 3) when people of team needs to extra hours, or the velocity decreases for any reasons. Fischer defends that two services: X and Y have tests which individually pass, but when need to integrate between this services, may generate a different output that is not correct. Figure 5 represents a simple communication between a mobile application and a server API. 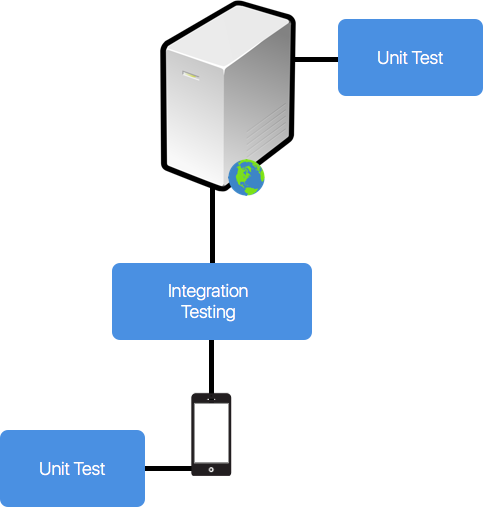 Each part has tests, but when integrated between them, the unit tests doesn’t insurance that will work correctly. Kent Beck defends that TDD is an important technique to development software with getting a high quality.